Some two or three years ago, I knew nothing about yoga. A colleague convinced me to attend a staff class at our workplace and that is when I realised the great benefits that yoga can bring to me. My first ever teacher was Nicolette Wilson; she inspired me to continue to practice yoga and her teaching empowered me to learn more. I’ve been lucky enough to reconnect with Nicolette since being back in London and she spared some time to answer a few questions for us. My name is Nicolette Wilson and I run a yoga and Pilates business named Self Love yoga and Pilates based in London, England. 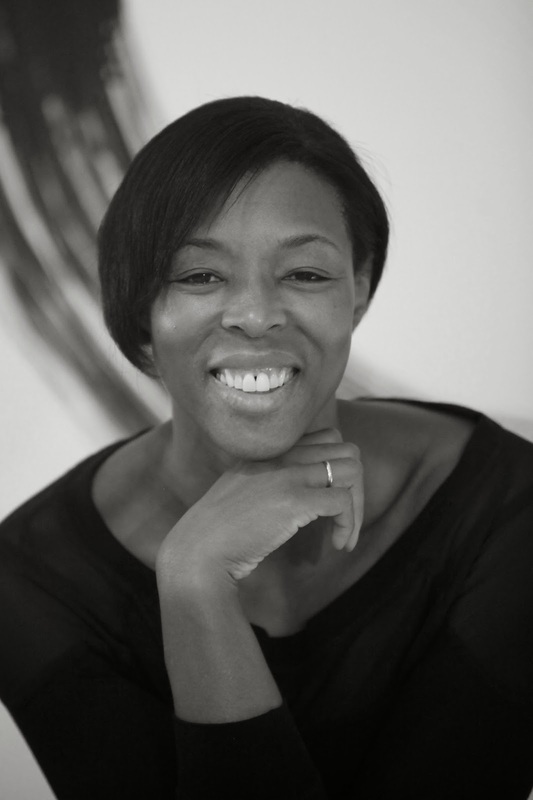 I have over 20 years of experience in the health, fitness and well-being industry and having started as an Exercise to Music Instructor I broadened my knowledge to become a Personal Trainer, holistic masseur, sports massage therapist, Health and Fitness Manager, Business Networking Director, professional dancer, Pilates teacher and yoga teacher. I am presently a full-time yoga and Pilates teacher delivering both disciplines in London, nationally and internationally. Self Love yoga and Pilates primarily supports women to feel empowered enough to choose how they wish to feel every day. Tell me about your history with yoga & Pilates and what led you to start your company, Self Love. My first experience of yoga was when I managed a gym floor and studio of a private health and fitness club over 10 years ago. I had no idea what yoga really was and after hiring a very experienced yoga teacher I ended up attending his classes weekly for the following 5 years. His classes were mega dynamic and very physically challenging. I absolutely loved it because it mirrored my life at that time. Yoga created space within my body which was really muscularly bound due to intense weight training and cardio workouts and most importantly it taught me to slow down. I was however only interested in the physical benefits and glided over many of the spiritual aspects that were sometimes integrated within the class. As I continued on my life journey, I dipped in and out of yoga for various reasons i.e. supporting my dance training and dance injuries. The great thing about yoga is that it finds you, rather than the other way round. It’s a journey that leads you to a place that gives you the power to trust yourself and therefore others. Yoga found me and so I therefore now share it with others having qualified three times – two in the UK and one in India. My Pilates journey is quite different. When I was Fitness Instructor, we were sent on a Michael King Pilates course. He was one of the first experts to train people to teach it however I didn’t quite get what it was all about. I didn’t do anything with the new knowledge and it just stayed dormant in my memory bank for a good few years. Years later, I was watching QVC on the television and I saw an advertorial for Mari Winsor’s Pilates triple pack videos. It was brilliantly marketed so I indulged and have never looked back since. She was a real pioneer at the time and made Pilates really accessible for the public to share the benefits as well as just celebrities and dancers. I qualified to deliver it and continue to do so today. Having been exposed to both yoga and Pilates, I have been drawn to realise that my body is MY body. This means that I have control over it, (the original name for Pilates was Contrology) and that I can determine how it looks, how it thinks, how it reacts and how it ages. Yoga is a philosophy that is a way of life and Pilates is simply a form of exercise. Combined they give me the freedom to take charge of my body. It is for this reason that I started Self Love yoga and Pilates so that other women may do the same. I’m really inspired by people who aren’t afraid to be the first at trying something new irrespective of whether it is a success or not. Also people who know their purpose and remain un-swayed by others. Ghandi, Martin Luther King, Rosa Parks, Mother Theresa, Dalai Lama, Malcolm X, and more recently Karren Brady, Oprah Winfrey, Shami Chakrabarti, Kathryn Bigelow, Aung Sang Suu Kyi, Margaret Thatcher, Natalie Massenet, Williams sisters, Alek Wek, Benazir Bhutto, social media pioneers. I love teaching a yoga class that allows people to distance themselves from their everyday challenges. Here they can find space to breathe, resolve, re-energise and reconnect. Arm balances have to be my favourite asanas because they take you out of your comfort zone and force you to connect intrinsically to your body. Challenging yoga poses are all about focusing on more than one body part at the same time. If you transfer this concept off the mat into your daily life then it can fill you with confidence when dealing with the many curve balls that get thrown your way. A good few arm balances require openness within the hips. Many people have limited mobility here and freeing up this area can reduce discomfort within the lower back, knees and ankles. It is therefore really important to spend quality time releasing tension from this part of the body and I will be delivering a ‘Hip Opening’ workshop in December 2013 to an create opportunity for this. What’s your favourite gear to wear when teaching or practicing? Practicing in clothes that are like second skin is a true delight. My practice clothes tend to have less style and colour than my teaching ones. This means that they are usually clothes I no longer teach in and don’t mind getting sweaty and grubby – functional. When you are not teaching or practicing, what do you do to find your zen?! Family, friends and food all mean the world to me so being around them brings me immense joy. I also love to laugh so films, books, music, plays and incidences in life that induce this emotion reminds me that I am alive. I adore dancing and listening to music that represents my present mood. This helps me to enjoy and stay in the present moment. Be inspired. Be motivated. Be empowered. Just wanted to say first and foremost thanks for being such an inspirational yoga and pilates teacher! I have been doing Pilates for 7 months now, Yoga for 3 months and it has made so many differences to my life! It has enabled me greater control over my body, in addition to increased core strength which has improved my strength when Pole Dancing (Pole Exercise). It has also improved my flexiblity which enables me to be far more graceful!